Bob Dylan performed here on Friday night in a memorable concert that featured a number of famous songs including Tangled Up In Blue, Desolation Row, and Like a Rolling Stone. His raw voice grew sweeter as his vocal cords warmed, and in the latter stages he actually sounded alot like the younger Dylan we all know so well. Though China has surpassed the United States in clean energy development, transportation, urban investment, residential housing, auto sales, and the raw fury of consumer culture, the Chinese display a stunning allegiance to American cultural icons. 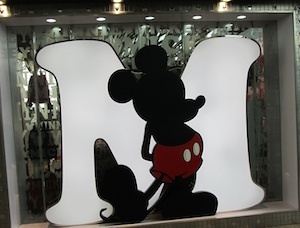 The same week that Dylan performed, in a concert criticized by Maureen Dowd for its sellout to Chinese authorities who prescribed his playlist, Disney announced the start of construction for a $4 billion theme park here, and the local Barbie store went out of business. 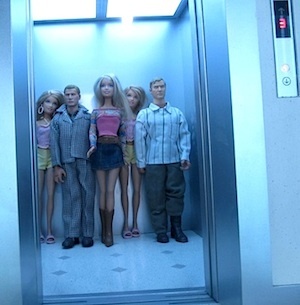 A friend told me that’s because Barbie broke up with Ken some years back and their efforts at virtual doll culture reconciliation failed. 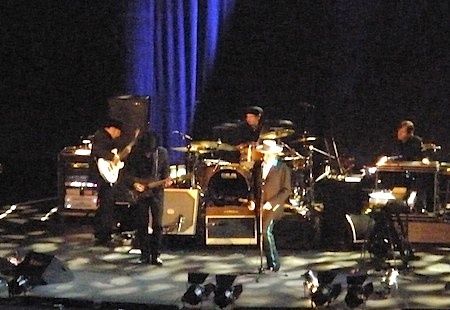 As for the Dylan concert, I was delighted by the pacing, the fresh arrangements, the great band that backed him and thought not once that there was a political dimension to the show. Must be getting soft. As for China, and this magnificent coastal city of some 20 million, let’s just say the joint is on a roll. Thirty years ago, Shanghai was less than half its current size. Cars numbered in the thousands. The local geography was distinguished by a few 19th century European buildings and a whole lot of one-story residences and shops. At that point China had a choice to make between pursuing a traditional agrarian development path or launching a program to catch up to the western energy-wasting, drive through, high-rise, mass consumer path to wealth generation. Any visitor here clearly sees that China chose the latter, and pursued it at a scale and speed never before seen in human history. China is adding 2.5 billion square meters of office, retail, residential, and industrial construction every year to its landscape. By 2020, the country will have 17.5 billion square feet of buildings, more than any country. It will have essentially duplicated in a decade all of the building square footage that it took the United States a century to construct. What’s either cute or disturbing is how devoted the Chinese are to American cultural signals, our music, our markers, the things and people that entertain us and describe our way of life. 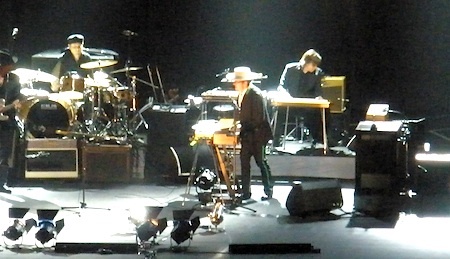 Lady Gaga is big here and so, to some extent, is Bob Dylan. Disney’s new theme park is bound to be a smash. And Barbie? They closed the Shanghai store but she’s still around too.